That’s the view of SNP MSP Annabelle Ewing over a decision to change the community council boundary between Benarty and Lochgelly. 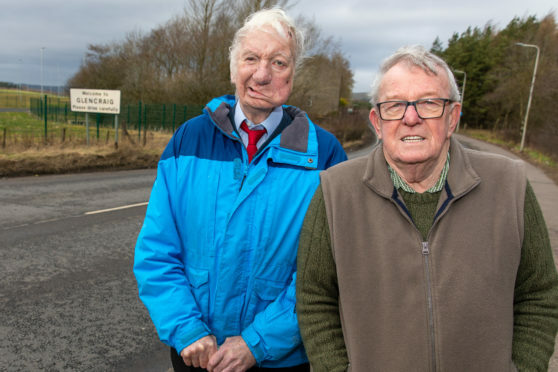 After a long campaign, a 1,400 plus signature petition and public consultation which drew more than 700 votes, Fife Council’s community and housing services committee agreed to redraw the boundary so the hamlet of Glencraig was not split in half. Benarty community council and other groups first drew the anomaly to light. They argued Glencraig had historically and spiritually never been part of Lochgelly and that it should not be split asunder any more but should fall entirely under the jurisdication of Benarty community council. The council decided to put the matter out to public consultation, which ran from last December until the end of January. Out of the 745 responses, 459 were in favour of a boundary change, with 286 against. Just over 60% of those who took part came from Benarty, 37% from Lochgelly and 2% from other places. SNP councillor Alice McGarry said: “I think this has been one of the most interesting ones and people certainly feel passionate about it. The committee asked officers to make the administrative changes which will only affect the community council boundary and nothing else, such as school catchments. Former Communist councillor for the area Willie Clarke did much of the campaigning alongside Brian Menzies. Mr Clarke said Benarty locals were elated at the decision. “People have been stopping us in the street, saying justice has been done. Ms Ewing welcomed the decision which recognised the strength of the case presented to restore the boundary. “Administrative boundaries should never just be about drawing lines on a map or making the numbers fit, but everything to do with respecting the history of a place and the generations who have lived there. “This decision is a fantastic result for people power and is entirely down to the campaign run with the support of Benarty Community Council. “What a team Willie Clarke and Brian Menzies are.